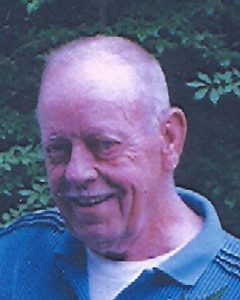 North Grafton – William H. Budge, 80, passed away Saturday, Sept. 3, 2016 at the Knollwood Nursing Home after declining health. Bill was born Sept. 23, 1935 in Worcester, the son of Mildred (Treadwell) and Frank H. Budge, and was a lifelong resident of North Grafton. He leaves his wife of 59 years, Marlene L. (Temple); a daughter, Donna L. Charest (Stephen) of Grafton; two sons, Darryl H. Budge Sr. (Charlotte) of North Grafton and David W. Budge (Debra) of Charlton; nine grandchildren, Daniel Charest (Lisa) of Salem, Jason Charest (Monica) of Worcester, Amanda Charest of Grafton, Darryl H. Budge, Jr. (Jessica), Pfc Matthew Budge (Andrea) of Vermont, Amy Bigley of Charlton, Valentina Budge of East Brookfield, Emily Atherton (Remington) of Connecticut, and Michael Dailey (Holly) of Florida; and nine great-grandchildren, Cameron, Hailey, Ava, Andrew, Lucas, Kadence, Riley, Mason and Mya. He was predeceased by his daughter-in-law, Francine Budge, and granddaughter, Jessica Dailey. Bill worked with his father in carpentry after graduation from Grafton High School, building and remodeling homes in the area. In 1968, he assumed ownership of the business, changing the name to W.H. Budge Co. During the slow seasons, he worked as a salesman at Ruby Marine. Through the 1980s and 1990s, he built and sold picnic tables and lawn furniture. In 1987, he opened a furniture repair and woodworking shop, which he operated until retirement. Bill was also a dedicated firefighter for the town starting with the Forest Fire Depart as a teenager and retiring as captain of Engine 2 of North Grafton. He served in Civil Defense and was Chief Observer of the Ground Observer Corp. during the Korean War. He also joined the National Guard, serving in Company C, 1st Battalion, 181st Infantry, 26th Yankee Division, retiring as Staff Sergeant E-6. He was Transportation Officer, Assistant Scoutmaster and Scoutmaster of Boy Scout Troop 106 of North Grafton. He also worked part-time for the Grafton Highway Department as laborer, snowplow operator and contractor for many years. As owner of Bill’s Trailer Sales, he sold camping and utility trailers for several years. Bill and his family loved camping. In later years, he and his wife spent many happy times with friends at their Wells, Maine campground. He was an avid NASCAR racing fan and enjoyed gardening and country music. The family would like to give a special thank you to all his caregivers who helped him over the last three years. All are welcome to gather with Bill’s family and friends Thursday, Sept. 8, from 4-7 p.m., at Roney Funeral Home, 152 Worcester St., North Grafton. A prayer service will be held Friday, Sept. 9, at 11 a.m., at the funeral home. He will then be laid to rest at Pine Grove Cemetery in North Grafton. In lieu of flowers, please honor Bill with a donation to the Grafton Food Bank, PO Box 321, Grafton, MA 01519. To share a memory of Bill or leave a message of sympathy with his family, visit his online guestbook at www.RoneyFuneralHome.com.